I have been mulling, processing and contemplating writing this story for a long time. It scares me to write it. I don't want to shame anyone or embarrass anyone by writing it but it is such a huge part in my identity or loss there-of, if you truly want to know how I have become who I am today I have to share this story. If I truly am going to be completely open and honest it's necessary that I share this. It was the most difficult year of my life. I want to share this story not for pity, not for bringing anyone down. I share this story to encourage, to warn and to open the eyes that need opening. I recently read this article and it confirmed in my mind that the struggle that I've had is not just in my head, it's real. I don't believe that I completely have PTSD but after going through the test realized that I answered yes to all but 8 out of 24 questions, 4 of which were drug and alcohol related - which I have never had a problem with. 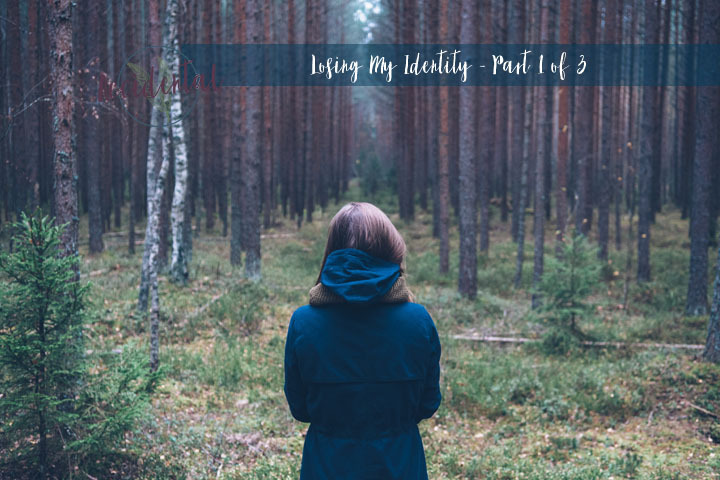 I have mentioned in more than one post that I have been struggling to regain my identity and that I lost it due to an unhealthy relationship in high school. The relationship began the summer between my freshman and sophomore years. We hung out a lot over the summer just as friends and I really began feeling like we were a perfect match, I knew him so well. He was so real with me. We began "dating" and things started out really innocently. We were best friends, care free, we were having so much fun. Over the course of time, and I don't know exactly when or if it just began right off the bat, but we became addicted to one another. I became so fearful and timid. Anger began growing in me but I didn't realize it. There was one time, I remember, that he was mad at me because I had to work and I was getting mad too. I was hurt, frustrated and afraid. He was mad at me and I lashed out at him with my words and it was returned to me. He yelled at me and said, "you can't be mad at all of us because you have to work, it's not our fault!" The one clear memory of manipulation that I have. I was a victim but I was made to be the accuser. I was made to be the bad guy. I hurt and damaged my relationships because I believed what he said. I believed that I was in the wrong and I was frustrated because I didn't know what it was that I was doing wrong. I know that my relationship with my brother was deeply damaged during those years and I don't know if he knows why. Honestly, it's shameful for me to remember and even just writing this, my heart is pounding, my breath is short and the dizziness is beginning. There were so many occasions through our relationship that he would get mad at me and I would believe the lie that it was my fault. I would be angry if things didn't go my way because I knew that he would get mad. He would be mad at me and I couldn't lose him. I had entwined my heart with him and who I was became completely based on him and my relationship with him, if I were to lose him I would surely be broken completely. And then it happened. I heard that he had cheated on me with another girl at a party. I trusted the sources and even she had come to apologize. I was tired of the manipulation, of the anger and meanness and of always wondering. Still to this day I don't know how much he lied about and how much was truth that came from him. It's so hard to know. I called my friend Corey on my way to breaking up with my boyfriend. I don't remember what Corey said, but I remember being comforted by him and encouraged by him. I had written a note, my parents had both pre-read it before I left to drop the note off at his work. It made the most sense to do it that way so he couldn't pressure me or manipulate me (I had tried to break up with him once before or was on the verge of it and he talked me out of it). He had a couple hours left at work and so I gave him the note, took one last longing glance at him and walked out. He tried to get me to stay but I ran. I went back to school, ran into the girl that he had cheated on me with and apologized to her for shoulder checking her in class...yea, I had intentionally shoulder checked her as I walked by...I'm not proud of that move. Then the stalking began. He called me and texted me at least 100 times a day for quite some time. He broke into my locker and stole my money from time to time. The office asked why I had given him my combination. Because he FORCED me to by standing in front of my locker until after the first bell for class had rung. If I hadn't given him my combination I would have been late for class. At the time we were dating so it was no big deal. But now, my combination had to be changed. The office let me call my dad in the meantime and he just encouraged me to stay away from him as best as I could. Then one day I walked out to my 1989 Chevy Blazer and it had been keyed all the way from the front fender to the back fender. One night he parked outside of my house after 8 pm and yelled at me through my open window. I couldn't pretend to be asleep because he had seen my light on. I was on the bus on our way to the Ordway Theater in Minneopaolis and I got another text message from him. He said he was going to kill himself because he was hurting so badly. I did the only thing I could think of, I called my mom, told her and asked her to get a hold of his mom. He didn't try to kill himself that time. The rumors began flying about me, how I would sleep around and all of those things that I would do. None of which were true and none of which I remember clearly, those were easy to roll off. After school got out, I went to camp for CEF training. We turned our phones in at that time and for two weeks mine was off. When I got my phone back at the end of June I had a billion and one text messages from him, my voicemail message had been changed, messages had been deleted and my inbox was full of voicemails from him. I don't remember how or why things settled down but they did for a while. Then he wanted to introduce me to his new girlfriend on the 4th of July. I'm going to continue this on another day, it's getting long, I'm emotionally exhausted and I need to get my hands to stop shaking and change my shirt because of the pit sweats, haha...until next time, friends. OH Kayla. this is heart wrenching to read. I'm so so glad you had the courage to begin writing this difficult story and I KNOW how vulnerable it can feel. I also know how cathartic and freeing it is too. I'm anxious to hear more of your story, my friend. I can tell that God is healing you from the inside out, in how you are identifying new areas of your heart that need exactly that- healing and restoration- and renewal. Ultimately renewal. Praying for this process to be fruitful and nourishing. I am proud of your bravery in sharing this.. This is scary, especially since you were so young. I had the same happen to me in my twenties. It strips you of power and as you said, after a while you feel like everything is your fault. It is so brave of you to share your story. Be strong! Thank you so much for sharing this piece of your heart. You are so brave. This is going to majorly minister to someone else (and I'll tell you right now, I can already identify a bit with this), and give someone such relief that they are not the only one going through something similar! I will be watching for the next part!